Read 8 reviews or write your own. 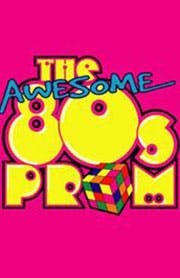 The Awesome 80's Prom is a blast-from-the-past party in the style of Tony 'n Tina's Wedding and The Donkey Show set at Wanaget High's Senior Prom... in 1989! All your favorite characters from your favorite '80s movies are at the prom: from the captain of the football team to the Asian exchange student; from the geek to the hot head cheerleader—and they're all competing for Prom King and Queen. And just like on American Idol, the audience decides who wins, all while moonwalking to retro hits like "Girls Just Wanna Have Fun" and "Wake Me Up Before You Go Go."